In 2017 the UN Committee on the Rights of the Child will publish a General Comment on Children in Street Situations. This is a monumental human rights development that will clarify States’ legal obligations to street-connected children and provide much-needed guidance to support governments to implement national legal and policy change to respect the rights and meet the needs of street-connected children. 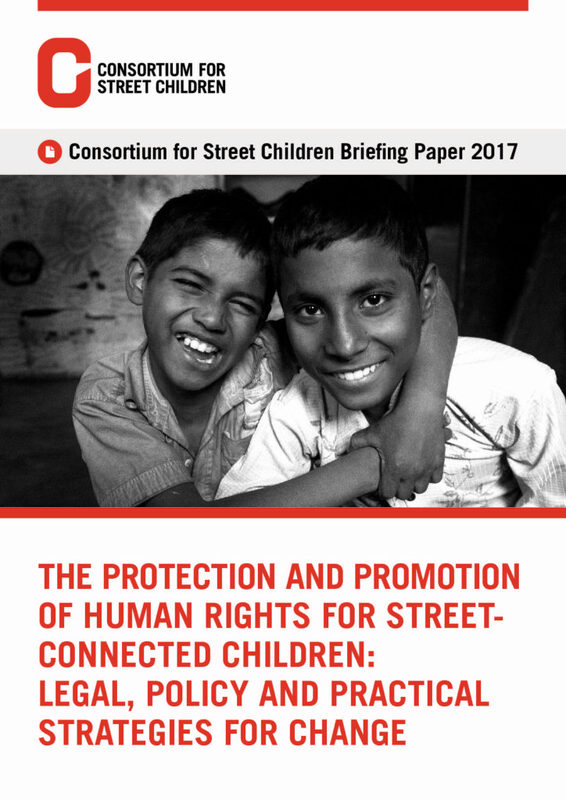 In advance of this General Comment, the Consortium for Street Children’s (CSC) briefing paper considers children’s rights and how they apply to street-connected children, placing particular emphasis on how rights can be used to create concrete change for street-connected children. This paper follows the CSC 2016 Research Conference: Is it time for rights-based change or changing rights? Legal, social and practical strategies for street-connected children. The Conference brought together global experts from academia and practice to consider this important question, bridging research, advocacy and practice and concluding that human rights and their mechanisms for accountability are the most useful tool for civil society to create concrete change for street-connected children.